Now days, flat design is every where. People are now focusing flat designs. A major part of online world has already adopted the flat design trends. So, you should also try to start your new website in this new design. 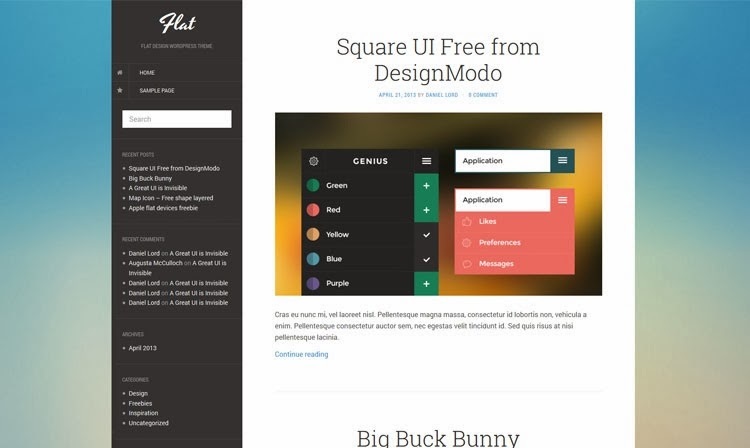 In this post, we are listing few best free and premium Flat WordPress themes. 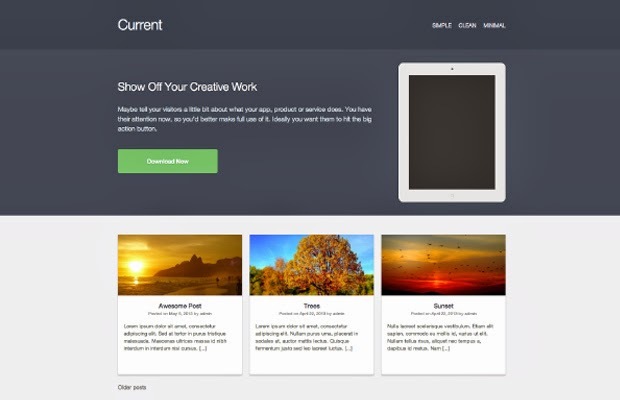 Download free themes or buy premium theme which suits your project. This is the free WordPress theme comes with flat design. You can easily customize it for your next web project. 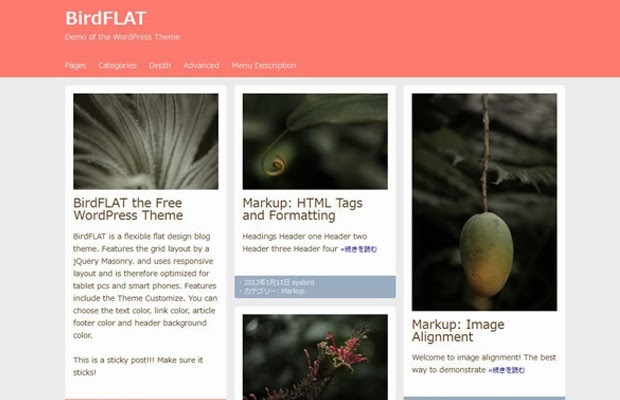 BirdFLAT is another free WordPress theme for blogs. It comes with responsive layout and optimized for tablets and phones. You can also easily customize the theme. It is also a a nice magazine style WordPress theme comes with flat design. If you are going to start a tech blog, it can be a nice option. 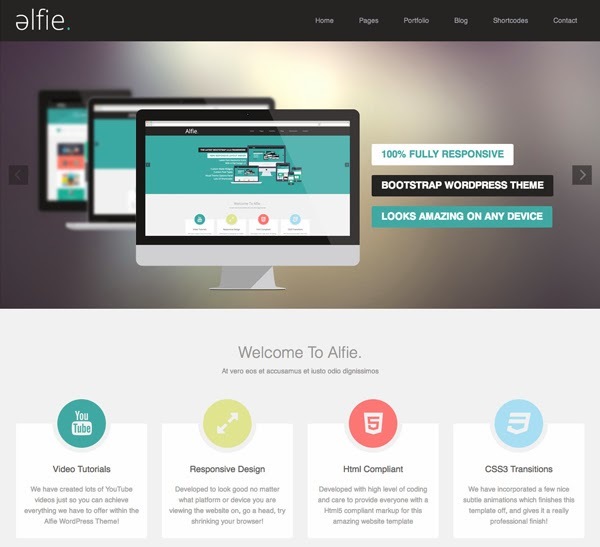 Alfie is really an awesome WordPress theme comes with flat design and responsive layout. You can use it to build your web design portfolio. 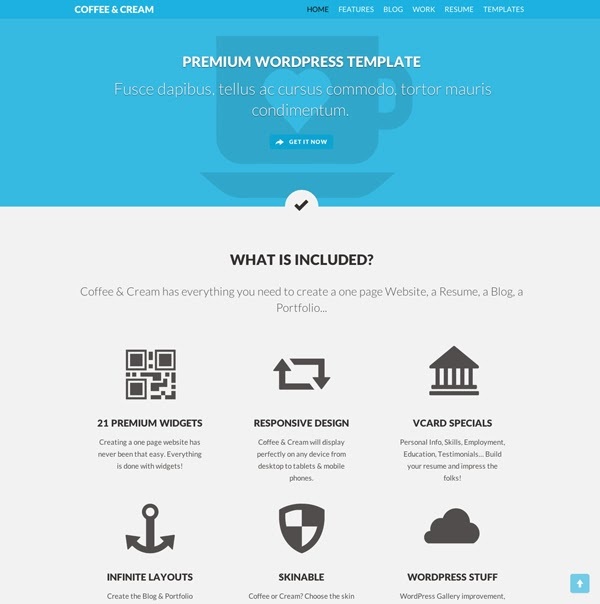 Coffee & Cream is another nice WordPress theme with attractive design. 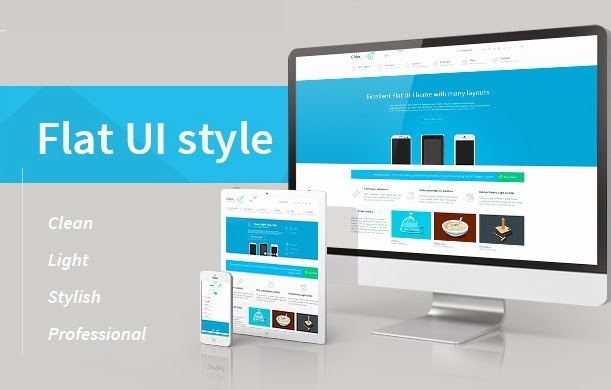 It comes with 21 premium widgets and responsive design. 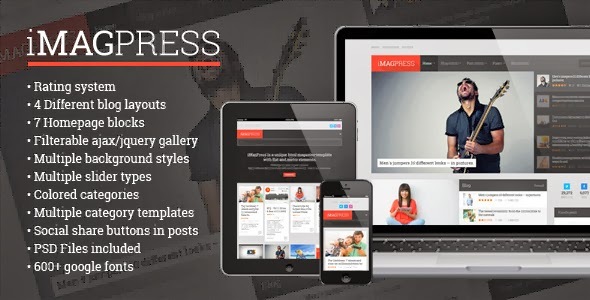 iMagPress is a magazine style premium WordPress theme with flat design. It comes with rating system, Google Page Speed and many customization options. GLider is a clean & powerful Flat stylish WordPress theme. It comes with many nice features including slider, page builder, pricing tables, crumina mega menu and many other. 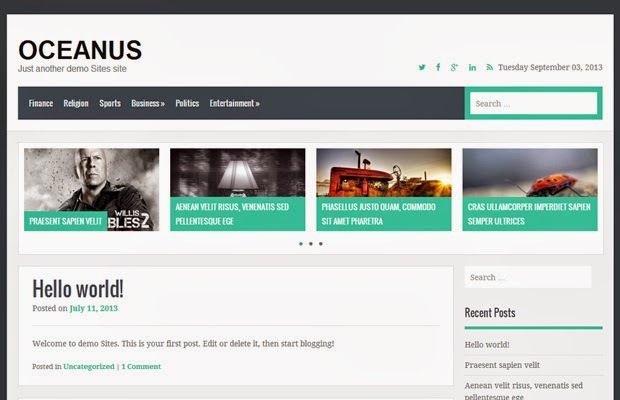 YoArts is also a nice WordPress theme for personal blog. It is responsive and made with Twitter Bootstrap. 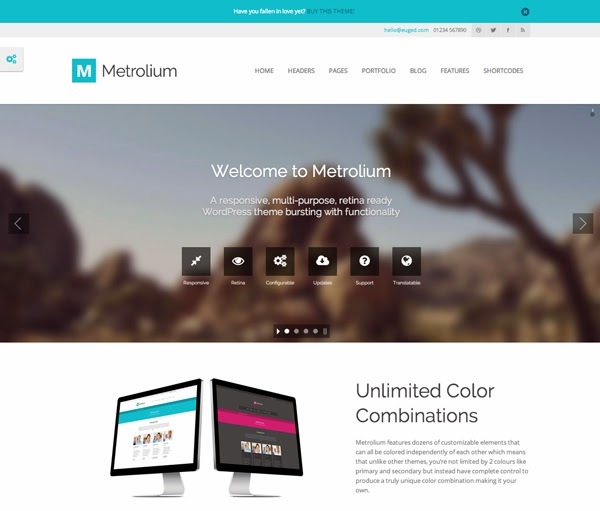 Metrolium is also a cool premium flat WordPress theme. KUMAON is a cool flat WordPress theme for your business website. It comes with various flat colors option. Which is your favorite theme from this collection? Share with us via comments.